I hopped on the band wagon and made some cake pops. And it wasn’t too difficult! First, let’s bake a chocolate cake. I recommend this recipe. I halved it, and had 3.5 dozen cake pops. Want to make them gluten free? Try black bean chocolate cake. Once your cake is baked and cooled (feel free to speed the freezing by putting it in the fridge), crumble your cake, add cream cheese, powdered sugar, and butter. Chill! You could leave it for a day or two in the fridge, if you’d like. It won’t hurt it a bit. Roll them out into adorable little balls of cake goodness. 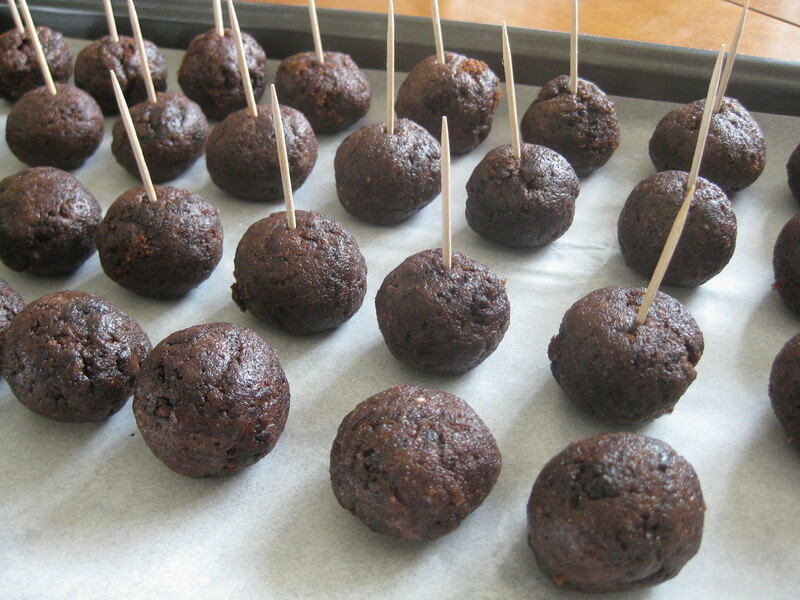 If you have lollipop sticks, stick one in the top of each cake ball. If not, toothpicks work surprisingly well. 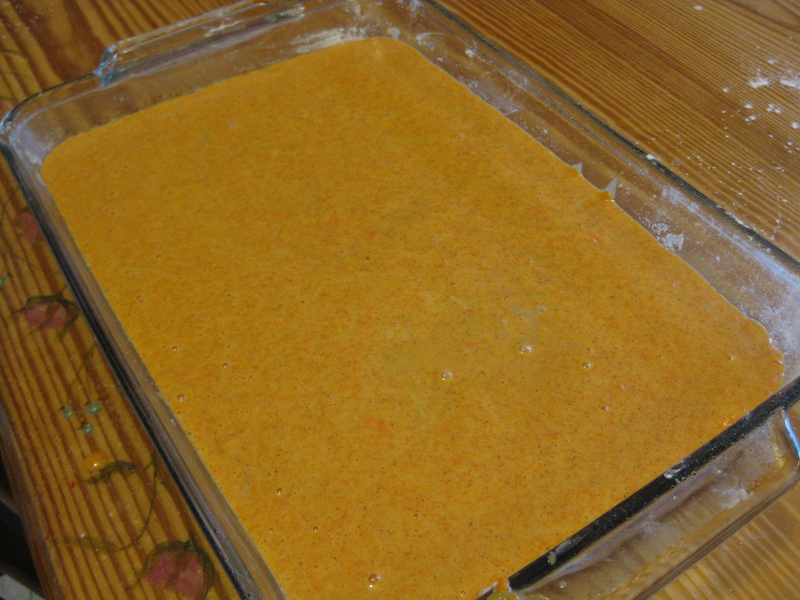 Slide the tray in the freezer, and leave it for 30-60 minutes. 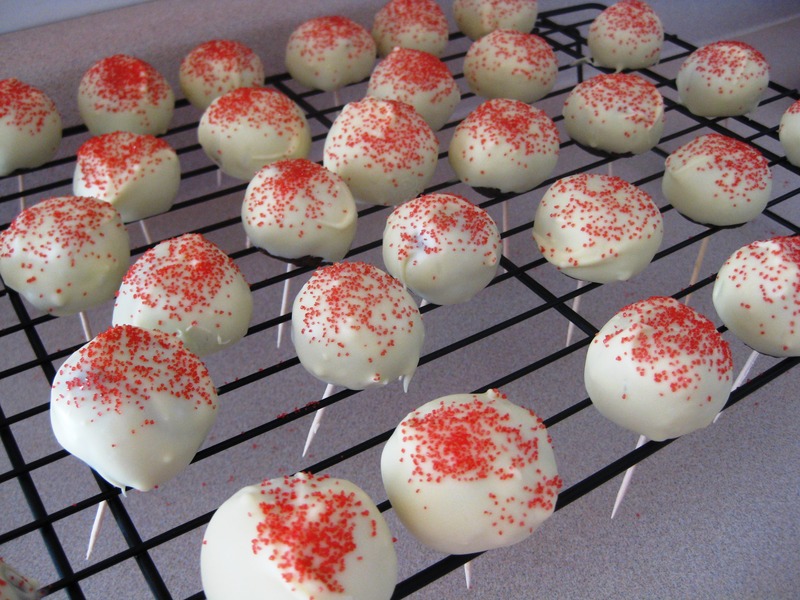 The goal is that the cake balls harden enough to dip. Melt some chocolate! I used white chocolate, but you could use milk or dark chocolate as well. For simple melting (no double boiler! ), put your chocolate in the microwave for 30 second intervals. Between each interval, stir, stir, stir. When it’s smooth, it’s done. Take a few at a time out of the freezer, and dip each one in the chocolatey goodness. I recommend using a cooling rack to let them set. Then the chocolate on the top doesn’t flatten out from being set on a cookie sheet. Garnish with sprinkles! And enjoy. Don’t refrigerate, as it will cause the cake pops to sweat. 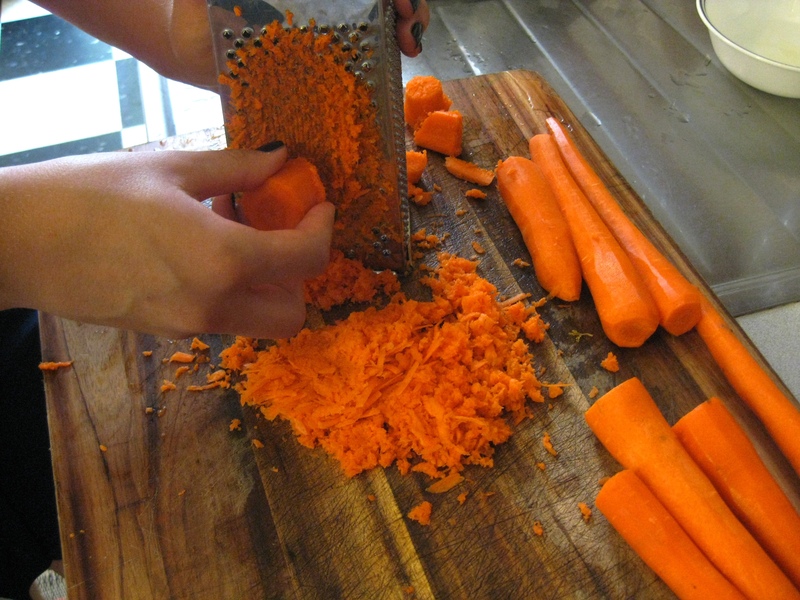 When I was a kid, carrot cake was not something that interested me. Vegetables do not belong in dessert. Ever. Oh how things have changed! This could quickly escalate to the status of Most Favorite Cake Ever. As has become my MO, I consulted smitten kitchen to see what she had to offer. Success! Baby sister and I used the recipe for the cake, but baked it in a 9×13 glass dish. Because we used the glass dish, we lowered the oven temperature by 25 degrees and increased the baking time to 45-50 minutes. Done to perfection! 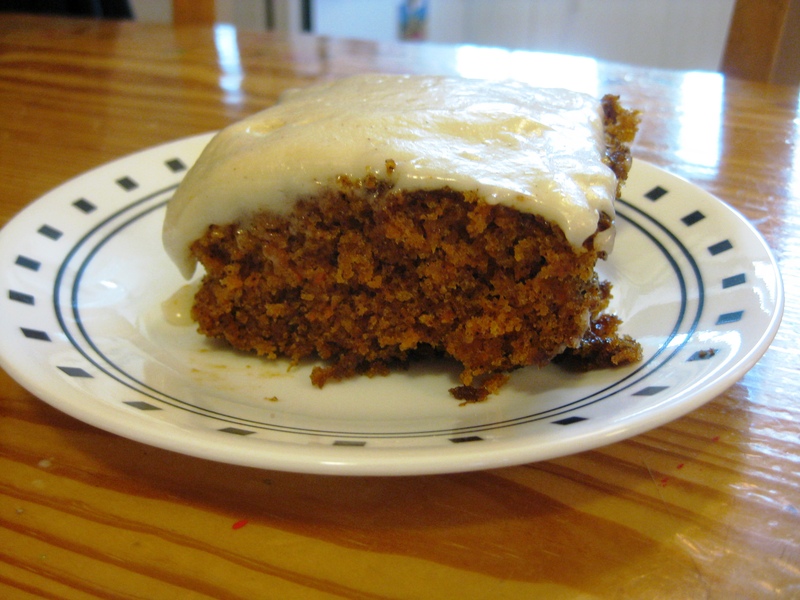 For a great, basic cream cheese frosting, check out Simply Recipes. Creamy delicious!